Free high resolution photo of salmon red colored blossoms. 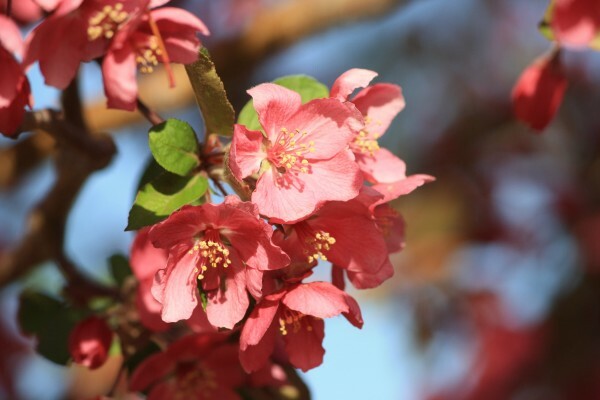 These blossoms are reddish pink in color, they could be described as salmon or coral colored. They are crabapple blossoms. Crabapple trees bloom in the spring with fragrant flowers. This photo shows a cluster of blossoms with some green leaves and bits of blue sky in the background. Free picture for any use.